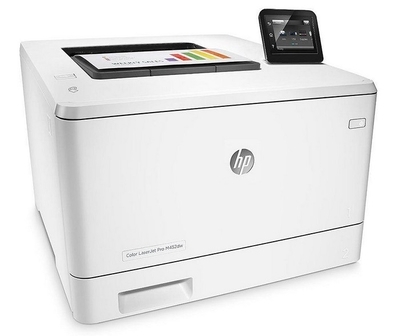 Printing quality work requires a dependable toner for your HP Color LaserJet Pro M452dw printer. You could spend hundreds of dollars on OEM (original equipment manufacturer) products and stand in line at a crowded retail store, or you could save over half off the OEM retail price with 1ink.com! We offer remanufactured HP 410X toner cartridges that will fit any budget. These cartridges install easily in your printer just like the OEM version and they’re safe to use without any risk of voiding your printer’s warranty. You’ll get a performance that’s identical to what an OEM cartridge would offer while getting huge savings! Just like OEM HP toner, our remanufactured cartridges can print up to 5,000 pages in color and up to 6,500 pages in black. Our remanufactured HP toner cartridges work with your printer to produce the documents and images you depend on. We use quality materials to reengineer each cartridge here in the United States. Get a consistent performance and quality results while lowering your printing costs!